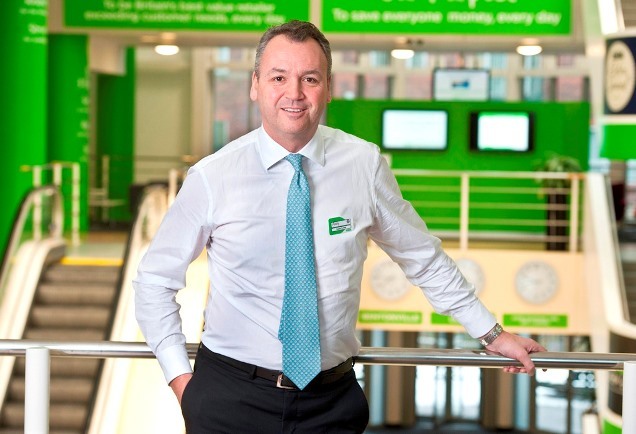 Business in the Community (BITC) has appointed president and CEO of Asda Stores Ltd, Andy Clarke, as the Prince’s Ambassador for responsible business in Yorkshire and Humber. Mr Clarke brings a wealth of experience and expertise from current roles which include Ambassador of the Prince’s Trust and President of the Institute of Grocery Distribution. Andy Clarke is one of a national network Prince’s Ambassadors working with National Ambassador Marc Bolland, CEO of M & S.
The role recognises the powerful contribution made by individual business leaders and each ambassador’s remit is to work closely with BITC and its members to champion responsible business best practice across their respective regions. He said: “Asda and Business in the Community stand for the same important values so I’m looking forward to representing responsible business as the Prince’s Ambassador for Yorkshire and Humber. Mr Clarke’s first event as Regional Ambassador will see him attend a ‘Seeing is Believing’ visit on 6 February in Leeds. Organised by BITC and led by Sarah Day, managing partner at DLA Piper, the session will discuss how business leaders can take practical action to ensure young people are equipped with the knowledge and confidence to build successful working lives after leaving school.